Why the stream of consciousness? It is gently raining right now. Rain. Water. An essential nutrient to all. 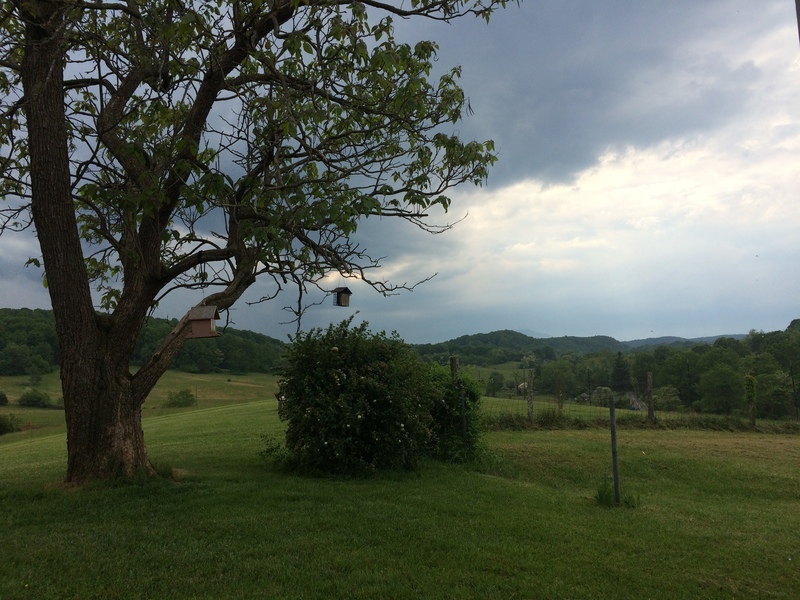 Rain is why our planting schedule is three weeks behind. The recent LACK of rain is why our plants that DID get planted are a tad stressed. So, my garden chores are complete for the time being, and with this break in the action, I thought I would describe some of our gardening methods (ahem…madness). For starters, have you ever wondered how folks price their produce? I do. Still. Aside from dealing with what Mother Nature hands us, one dilemma we have yet to fully overcome is “how much are my goods worth?” Things that contribute to the cost of our production are pretty common to all growers: supplies, soil amendments, seeds, seed starting materials…etc. 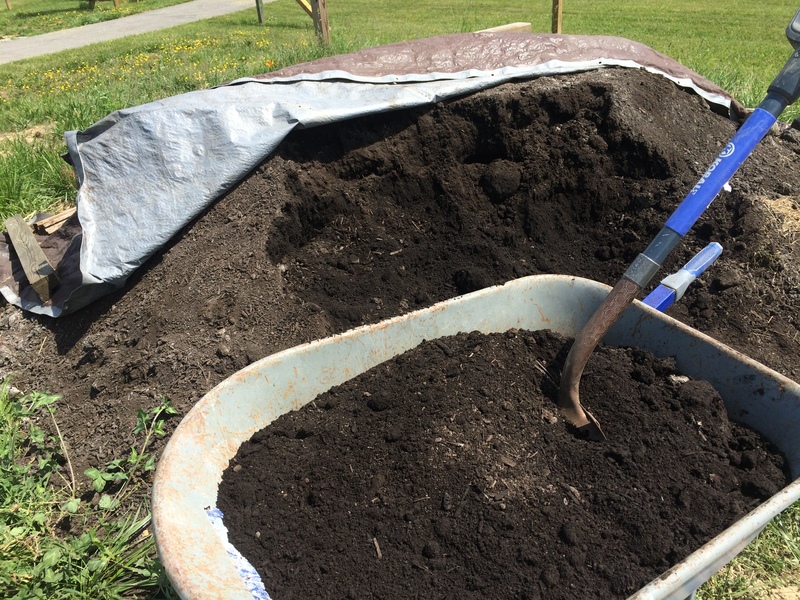 For soil health….COMPOST…magical stuff. Plus some minerals based on a soil test…all of these things are delivered to the planting beds by manpower (I worked on prepping some beds today, in fact). We perform a lot of work by hand and the strength of our backs. Yes, we have a tractor, but it is a two wheeled, walk-behind variety. Powerful, but it lacks a front end loader, a dump trailer or the like. So, materials to help the soil be healthy are delivered by hand (compost, amendments, straw mulch). 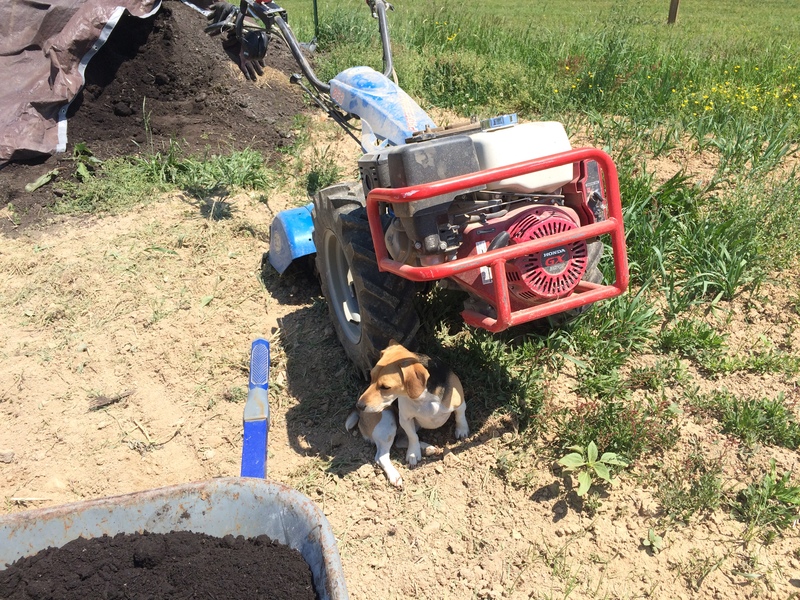 Tools we use quite a bit are rather simple: a couple of types of hoes for cultivation, a hand-hoe (called a double chopper), a digging fork, a bed preparation rake, oversized wheel barrows, shovels, 5 gallon buckets, totes, and a broadfork. Of course, the BCS is invaluable!!!! What else happens? Well, many seeds are started indoors starting in February. That process involves making soil blocks and seeding each block by hand. When seedlings are mature enough and the timing is right, the soil blocks are then transplanted into prepared planting beds by hand. Vegetables that are not started from seed are seeded directly into prepared planting beds…by hand. Some beds are covered by row covers to protect young plants or newly germinated seeds from: bugs, wind, heavy rain, and intense sun. Installing row covers involved erecting hoops over the planting bed then covering the length of the bed with row cover fabric. Weeding. It’s done by hand mostly (amazed that my friends still talk to me after days weeding here). A thick bed of straw mulch has helped to suppress some weeds (and recruit a lovely population of earth worms to the garden). Bugs. They are squashed by hand…or ignored. We do what we can. My least favorite bugs are the Colorado potato beetle and the Mexican bean beetle…after a while, they turn your hands yellow. Harvesting and cleaning…all done by hand. Of course. Labor labor labor. How do I figure this part out? Easy answer is to keep track of all hours worked in the garden….but the problem is, when you enjoy doing something, you don’t always pay attention to the time you spend doing it. Does that make sense? At any rate, we do the best we can to value our vegetables fairly, while still considering aspects of the production process. We are lucky that our garden is a hobby (gone wild?) and not a livelihood….because I’d like all to enjoy our bounty! Hi, Bill. I so agree with you. I’ve been to a few workshops that have discussed enterprise budgets, pricing, and calculating “salaries” as it relates to one’s particular production scheme…but for the life of me I just cannot do it. The cost of time and labor would make most of our products unattainable by most of our consumers! Or…may be I should rephrase that last thought to say I just WON’T do it or am fortunate that I don’t HAVE to do it. Regardless, time and labor would require time and labor to track! How could one possibly keep tabs on it when you have scenarios like just doing a walk through to check fencing or growth progress…then without thinking about it or planning for it…you find that you have just weeded two rows of onions? How did that happen? Instinctual.